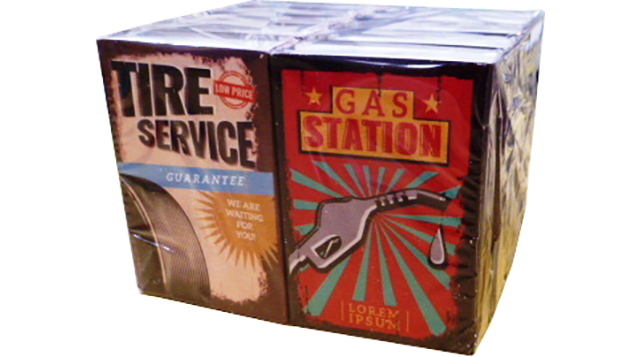 Pack of 10 boxes. 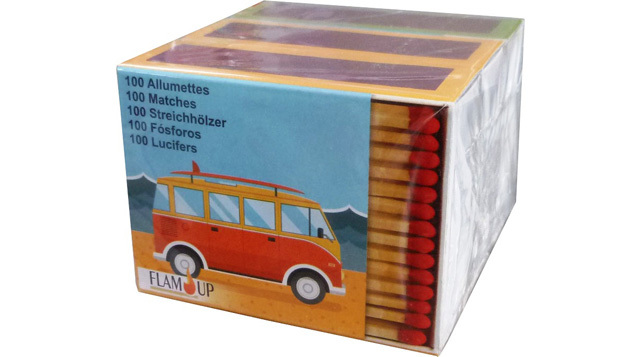 Box of 40 matches (4,5 cm long). Delivered in trays of 21 packs or carton of 1,000 boxes. 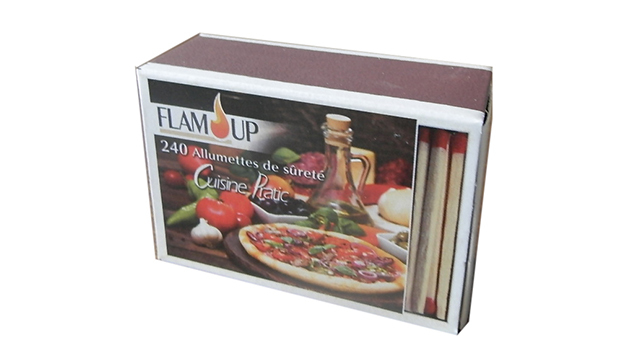 Box of 40 matches (4,5 cm long). 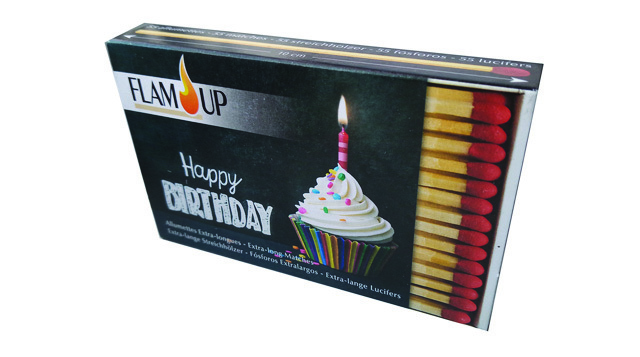 Product delivered in display of 50 match boxes. 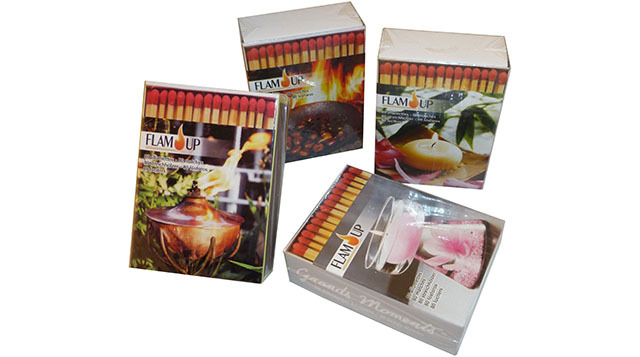 Box of 40 matches (5 cm long). 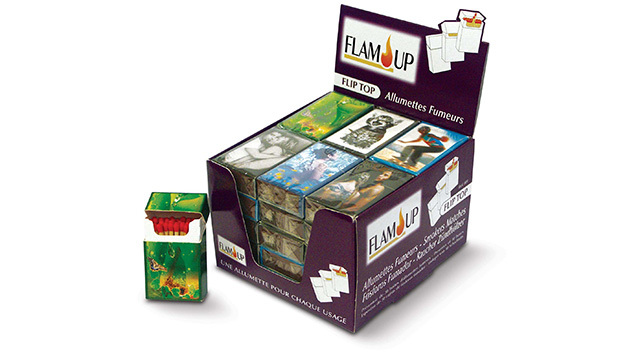 Product delivered in display of 30 match boxes. Box filmed individually. 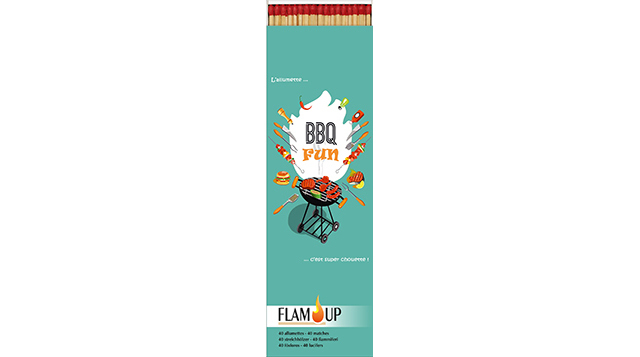 80 matches of 7 cm length. 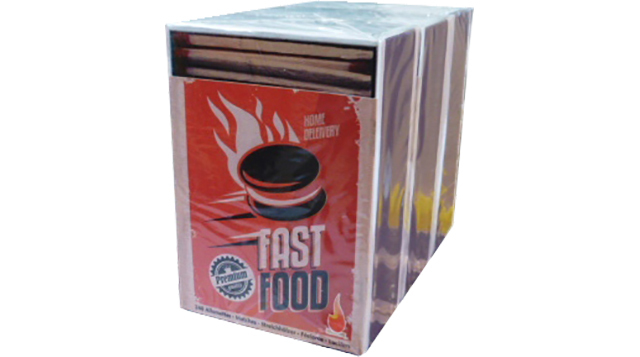 Product delivered in display of 60 boxes or carton of 20 packs of 10 boxes. Box filmed individually (also exists in tripack). 55 matches of 10 cm length. Product delivered in a display of 20 boxes, or in a display of 10 lots of 3 boxes. Box filmed individually. 70 matches of 10 cm length. Product delivered in a display with 20 boxes. 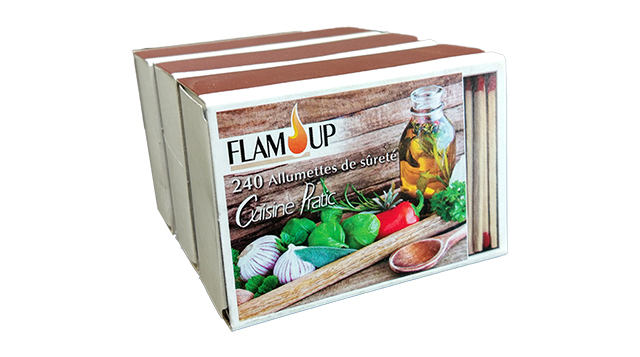 Box of 240 matches 5 cm long. Product delivered in cardboard of 20 bundles of 20 boxes. Boxes filmed by 3 of 240 matches each 5 cm length. 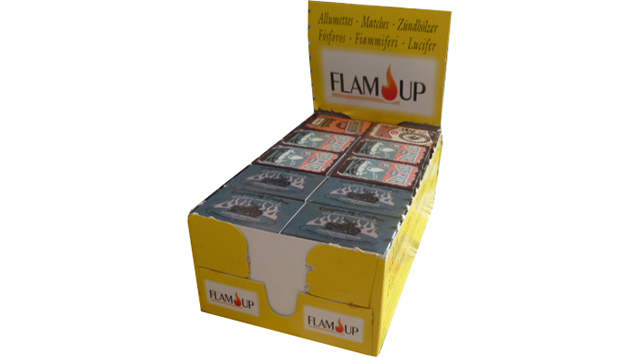 Product delivered in a display of 16 or 32 tripacks. Boxes filmed by 3 of 240 matches each 5 cm length (kitchen format). Product delivered in a tray of 16 tripacks. Boxes filmed by 3 of 100 matches of 5.5 cm length. Product delivered in display of 16 tripacks. 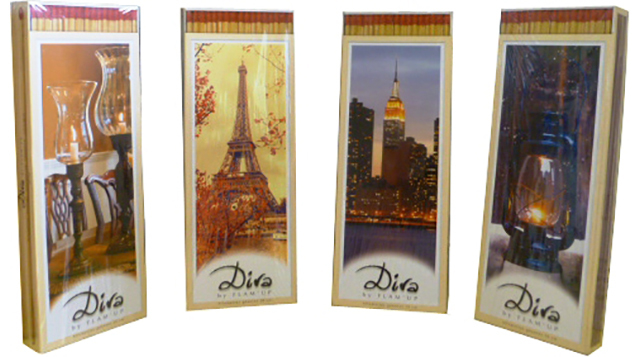 Large "DIVA" box of 40 matches of 28 cm length. Filmed individually. Product delivered in display of 20 boxes. 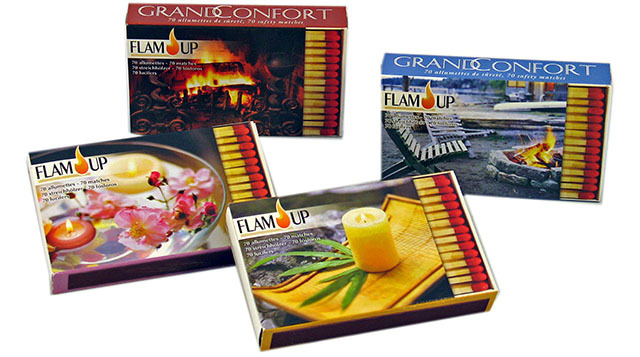 Large "DIVA" box of 70 matches of 28 cm length. Filmed individually. Product delivered in display of 12 boxes. Box "HARMONY" 40 matches of 19.5 cm length. Filmed individually. Product delivered in display of 20 boxes.